The Nothingness, the Void is a mirror; creation is the image in it. Man is as the eye of the image reflected in the mirror; the One who is reflected in the image is hidden in the pupil of that eye. Thus Hu (the Divine Being) sees Hu (ItSelf). You cannot see yourself directly. You must have an external entity, something that is not you, to use its utilities and functions in order to see an image of yourself e.g. mirror. If you are unable to see your own self, then how could you see something in another universe? Specially in the universe of spiritualities. So it is the fact that you need a mirror to see the reflections of any entities in any universe including seeing your own self. Without the mirror, there will be no reflected images, and therefore you could not see anything in another universe. The fabric of your creation is Ishq (Unary Unrestrained Love), infinite self-entanglement, within the entangles both temporal and non-temporal Divine Beauty is stored and aglow, and yet due to the severity of the self-entanglement there is no chance ever that you could see your own beauty (in absence of a mirror). We are part of an unfathomably mysterious multi-verse. In the Final Testament and in the Apostolic tradition, the sacred knowledge of the realms is hinted, both seen and unseen, in which beings in need of space, and beings in no need of space assemblage. These are part of Islamic esoteric tradition and certain name is given to these realms to help penetrate their mysteries. 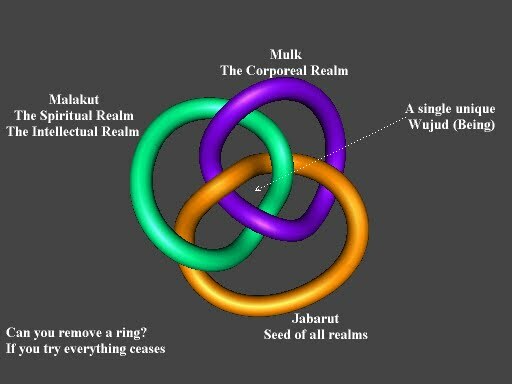 There are three realms: Mulk, Malakut and Jabarut as unveiled in the the Quran and Apostolic teaching. Below are brief exposition of the three realms, the basic understanding of which is pre-requisite to enter into the reality spoken by the Sufis using the metaphor / parables of mirror. The triad which outlines the three realms of existence, or if you prefer, the three modes of existence in the Universe - among them, the first realm is the Mulk. 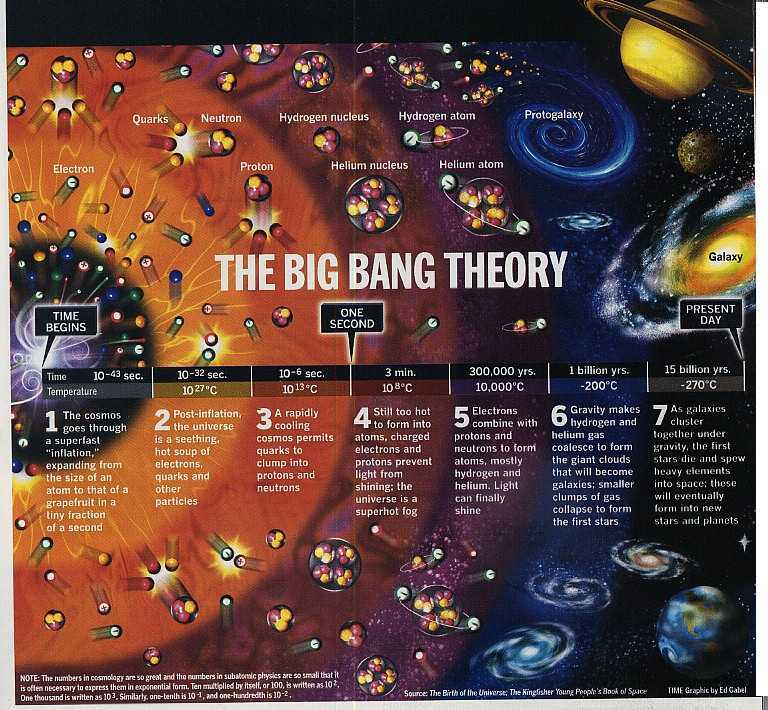 The visible realm, the corporeal observable universe that we understand as here and the cosmos. The world of form and appearances. The Mulk is what is experienced in the sensory (hiss) and in illusion (wahm). Of its nature mulk is both soild, sensory and pure-space, illusory. This is now confirmed by kafir science. The amazing interlocking susbtanatiality of mulk veils most people from the meaning-realm onto which it opesn teh intellect, thus it is designated kingdom for it is a realm of reality, seemingly complete in itself. It is not real, but is made with the Real, in the language of Quran. Thus to understand it we must penetrate its imprisoning solidity. We do not dismiss the Mulk for it is the direct evidence of the King. What we want is an encompassing knowledge for we do not seek to 'understand the universe' like the pathetic mind who tries to list everything in existence! In the words of Rabia al Adawiyya, "Do not seek the garden, seek the Gardner." By using the faculty of cognition we realize that everything in the Mulk is coded meanings- this opens the self to the next realm. The limits of the Mulk are the limits of concepts and through-forms. Blessed be the Divine in Whose hands is Mulk (the Corporeal Realm). Malakut - the Kingdom of Unseen forms. Whereas Mulk is the corporeal realm, Malakut is the spiritual realm. In Lord's prayer in original Aramaic we can find that Christ used to pray saying, Teytey Malkuth-akh which means, "Thy Kindgom (Malakut) comes". 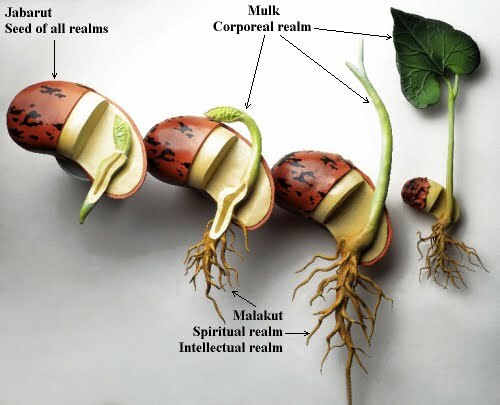 Malakut is both the kingdom of the source-forms of the creational realities, from atoms, crystals, organisms, and the kingdom of the spiritual realities, the Lote-tree, the Balance, the Throne and so on. It is the realm of vision as the mulk is the realm of event. It is also the realm where angels inhabit. As the characteristic of the mulk is fixity or apparent fixity so the characteristic of the malakut is flux and transformation or apparent flux. Shaykh ibn ‘Ajiba explains: “This reality is sensory but it is experienced as meanings. We interpret everything by meanings. But the next world is meanings and we will experience them as sensory.” The exact opposite. Once that malakut opens its treasures to the seeker, he must beware becoming a child of its wonders as the karif (one who covers the truth) remains a child of the wonders of the mulk (forgetting the Creator of the mulk). One can never be content with anything except the arrival at the audience chamber of the Real. The malakut is what is experienced in knowledge and dhawq (tasting). Everthing in malakut is decoded / sensory. Thus the vision of the Garden of Luminous beings, youths, flowing rivers. The sensory in the mulk is experienced intellectually through low level cognitions. In the next world, after-death is experienced through high level perceptions.The limits of the malakut are the limits of visions. Sufis practice special form of visualization of Name, visualization of the Spiritual Guide is a powerful medium to raise the inner consciousness and thus reach from one realm to another. The eye of the heart belongs to the inner consciousness (Malkuti). The inner consciousness arises from the Realm of Angels (Alam-e-Malakut). Those who travel upon the Sufi path under a realized guide, take advantage of the ability of things to transform and change in The Realm of the Material World by raising their inner consciousness, they are able to reach The Realm of Angels. So Perfect Glory be to Hu in Whose hand is the Malakut of all. "Jabr" is the Majestic Power (of Allah). Jabarut - the kingdom of power. This is the kingdom of light. Mulk is opposite the malakut and it is precisely the realm of lights, Divine presence that creates the split between the two worlds on which creational reality is based. 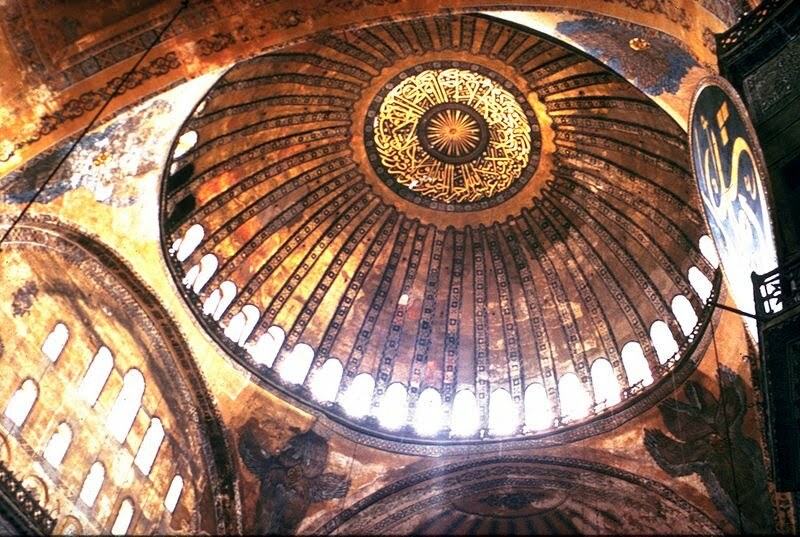 That means that Light is the barzakh, the inter-space between the visible and the invisible. In reality existence is one, the three kingdoms are one kingdom with one Lord. It is by the setting up of the limits and the barriers and the difference that the universal meta-galactic existence is able to come into being. That which sets up the barriers, and is the barriers, is none other than the One Reality in its sublime perfection unrelated to any form. Quran declares that Allah, glory be to Him, is the Outwardly Manifest and the Inwardly Hided: the First and the Last. Wherever you turn there is the face of Allah. Allah is the light of the heavens and the earth. By light we discriminate and by light we are blinded into non-discrimination. Both separation and gatherdness depend on light. Jabarut is (the realm of) light upon light. No indeed, if you only knew with the knowledge of Certainty. with the Eye of Certainty. So the Yaqin (Certainty) has a triple reality. The Mulk facing the Malakut, the Malakut facing the Malakut, and the third term is the Malakut facing the Jabarut, the ‘Ayn al-Yaqin. Mulk is everything under the ‘Arsh’ (Symbol of God's Mystical Presence) by the ‘Kun’ (Be, the Divine Command to Manifest Will of God). Malakut is that in its unseen dimension. Malakut is the realm of the unseen realities, and Mulk is the realm of the visible realities. The Malakut has an earthly dimension and a heavenly dimension. For example: you yourself sitting here are a visible reality, but it is not possible for you to continue existing another second in your atomic form as you are, without your unseen reality being along with you. At the moment the Ruh leaves the body all this collapses, does it not? It all goes into disintegration. This form finishes, as Raja of Mahmudabad used to say, “The body is like something you have rented from a wealthy owner. Your job while you are in it is to look after it, keep it clean, see that it is taken care of, that it is not destroyed in any way or corrupted in any way, because at the end of your tenure of the house you have to return the house to its owner.” He would say, “When you return the house to the owner, the Ruh goes out of it and like a house which is not occupied, it begins to crumble. Then the phosphates go back to the phosphates, the sulphur goes back to the sulphur, and the sodium goes back to the sodium.” The lower processes of existence take place once the house is uninhabited. Do you follow? Another whole set of the realm of the visible takes over, but they are then mineral, lower forms of matter because the animal form and the Ruh leave with the ‘Aql. "O Darwish! senses (e.g. touch) have no way to access the realm of Jabarut (Seed universe for all universes), and 'Aql (Intellect) bewildered with it and these senses only allow you to access the Mulk (Corporeal Realm). 'Aql (Intellect) lets you access the Malakut (Spiritual Realm) (through creative imagination), while Ishq (Unary Unrestrained Love) lets you access the realm of Jabarut (Seed universe for all universes) since Jabarut is the realm of Ishq and all the dwellers of Jabarut are in love with their own self. Thus they need a mirror to see their own beauty and to observe their own attributes. " "O Darwish! 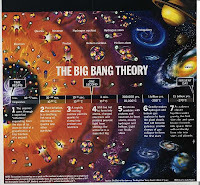 The relatedness of these universes are brimful with Ishq (Unary Unrestrained Love), every relatedness (say A in one universe is related to B in another universe) serves as mirror (reflects an image of A into B) while the antecedent and precedent (A and B) are actually in love with each other, and both in love with the mirror as well. Consequently these forms of existence are brimful with such unrestrained love, and when Salik (Voyager) reaches the rank of Ishq, ablaze with the flame of Ishq, purified from all impurities i.e. infinitely simplified free of any designs or shapes, finds affinity with the dwellers of the Jabarut since they are all infinitely simple free of any designs or shapes as well. And when the mirror of the Salik's heart has affinity with the dwellers of Jabarut, due to this close association, he knows what is leaving the realm of Jabarut (into another universe to become existent) therefore he is aware of such transference (prior to actualization in target universe) and while this might be seen in dreams by some, he sees them while awake!" "O Darwish! (seeing the flow out of Jabarut) is not by means of the eye in the head, but by the eye in Sirr (Divine Observatory). When Salik reaches the rank of Ishq the mirror of his heart is (buffed to) simplicity and purity without any designs and shapes, like a mirror buoy within the sea of Jabarut reflects the images of what is in the sea prior to their coming ashore the beaches of Wujud (Being), as images upon the heart of the Salik." The secret of seeing the "true" nature of things, seeing all as they truly are, is to have the mirror of the heart polished. If its surface is convex or concave, the object reflected in it is distorted from its real shape; and when the mirror has a plane surface, the object is reflected exactly as it is. Now, what a plane surface is for the mirror, a right disposition is for the soul, as regards the impressions it receives from without. Thats why O Darwish, in the journey of the Path, having a pure heart is so essential. Purification (tazkiyya) of the heart is incumbent upon all seekers. 'Successful are they who come with a wholesome purified heart (qalbin salim)' - as affirms the Revelation. O Darwish! (circumstances of daily life) are like the sea waves. The wise shall never build a home upon the waves i.e. the wise shall never intend (Niyyat) to stay here forever, know that we are all travellers, and all the circumstances and states of the universe are of traveling nature. If it is good times it shall pass, if it is sorrowing times it shall pass just the same. So if you have good times and fortunes do not rely on them, since the next hour is unknown, and if you are sorrowing, don't let your heart break, it is not known what the next hour might bring (of joy fortune and comforts). Do not have any hang ups except: You are a source of comfort and solace, not a source of abuse and distress. "For thirty years God the Most High was my mirror, now I am my own mirror and that which I was I am no more, for "I" and "God" (in the same bracket) represent polytheism, a denial of His unity. Since I am no more, God the Most High is His mirror. Behold, now I say that God is the mirror of myself, for with my tongue He speaks and I have passed away."